Thank you to everyone for attending today’s Oversight and Investigations Subcommittee hearing entitled, Gulf War Illness Research: Is Enough Being Done? We meet today to shed light on a topic that is critically important to the House Committee on Veterans’ Affairs: The health and care of our Gulf War veterans. This hearing is not the first to address Gulf War Illness, and it certainly will not be the last. 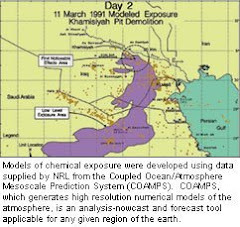 Today’s is the first in a series of Oversight and Investigations Subcommittee hearings examining the impact of toxin exposures during the 1990-1991 Persian Gulf War and the subsequent research and response by government agencies including the Departments of Defense and Veterans Affairs. Today, we will attempt to establish an understanding of the research that has been conducted – and the actions that have been taken – in relation to Gulf War Illness. 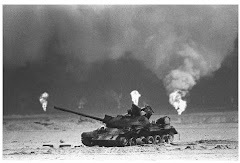 To better assess Gulf War Illness and its impact on veterans, we will look at another at-risk population, veterans who were exposed to the harmful toxins Agent Orange in Vietnam. In the past, we have seen service-related illnesses ignored, misunderstood, or swept under the rug. We must learn from those mistakes and ensure that our research and conclusions are accurate so that Gulf War Veterans are assured of the right diagnosis and the care and benefits they richly deserve. Subsequent hearings on this issue will take a multi-level view of the methodology and conclusions of Gulf War Illness research and how the review of information was compiled and why certain methods were employed. With a growing chorus of concern over the accuracy of existing research, and with a new administration leading the VA, it is time for us to make a fresh and comprehensive assessment of this issue and the body of research surrounding it. We will hear testimony today from a Gulf War veteran, Veterans Service Organizations, two distinguished researchers from the Research Advisory Committee on Gulf War Illnesses, as well as government officials. I would like to thank all of our witnesses for appearing here today. I’d also like to extend my thanks to Jim Binns, who chaired the Research Advisory Committee on Gulf War Veterans’ Illnesses, for his contributions to this hearing and this issue. I trust this hearing will provide useful insights to begin our evaluation of the existing research on toxic exposure and the work being done to care for Gulf War veterans and protect future generations of war fighters.